My first trip through Malaysia had me staying at six different hotels and about a dozen hostels over the course of about a month and a half. The hotel stays were fairly standard and impersonal as you might imagine, whereas most of my hostel stays allowed me to interact with fellow travellers. During stretches of longer term travels, I get weary of the constant moving from one hotel to the next. Sometimes taking a break and being able to stay in a place that feels like and has some of the comforts of home is welcome. 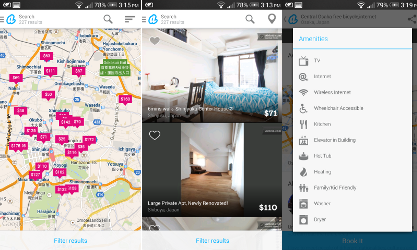 This is precisely what Airbnb offers and I decided to give them a go during my trip to Japan. The average prices of hotels in Japan are somewhat high for what you get, a tiny room ($60 to $100 USD). I figured that private rooms offered through Airbnb couldn’t be much more expensive. At the very least, I hoped to stay in a larger room for the same price. A coffee maker, a toaster-oven, a fridge, a proper closet- these things would make it even sweeter. You also get FREE UNLIMITED Wireless internet with a Pocket WiFi which you can carry with you anywhere you go. How’s that for added value! I know that it’s not that cheap for foreigners to get mobile internet in Japan, so the pocket wifi will come in very handy for me. I can use it to navigate the streets using Google maps and other handy apps. I emailed the owner to get pre-approved for the dates I wanted to stay and I booked the room. Staying in a person’s actual home while travelling to a foreign country can give you a better sense of living there. One decision you’ll have to make is to decide whether to rent out a room in place where the owners or other people share the space, or rent out the entire place altogether. The decision is pretty much straight forward- it’s like the difference between a hotel and hostel in terms of privacy and cost. I ended up using Airbnb three times over the course of my month-long trip. The extra value-added amenities that some of the places offered really made the difference for me during the rest of my trip to Japan. All three places offered just enough extra features that made my stay much more convenient. Being able to prepare my own breakfast and coffee whenever I wanted was great. Also, it was an adventure being able to shop at a local grocery for food that I could prepare and cook in my fully furnished kitchen. The places I stayed at worked out well for me, and I ended up paying about the same as staying at the cheapest hotel option in the same area. 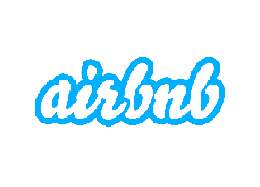 Airbnb popularized renting alternative spaces. Their app is feature rich, fairly easy to use, and does the job.